The McCord’s two-story Shingle Style house features a stone foundation, shingle wall cladding, and a spectacular front façade symmetrically arranged around a central two-story entry tower with a bell-shaped roof and a large T-shaped window with twenty-three diamond-paned lights is on its second floor. 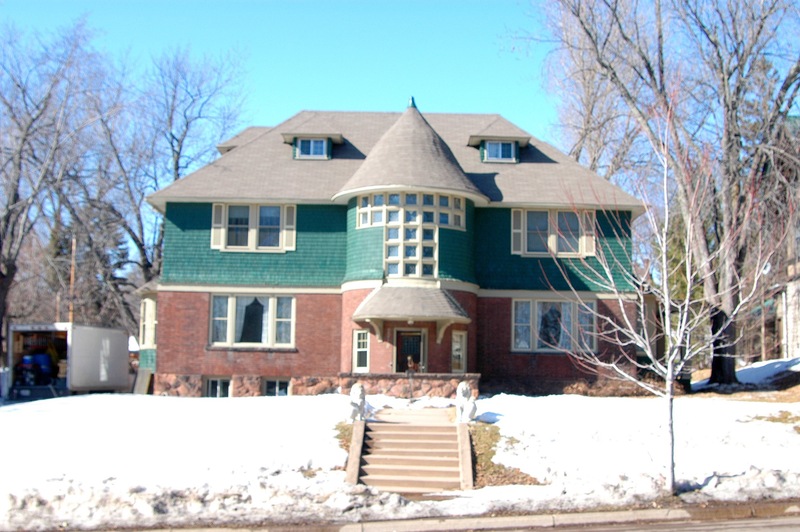 The house was built by Berquist Brothers Construction, and its matching garage was added in 1912. Historic information on McCord is conflicting: some called him a lumberman; others, a banker.